Many of us have memories of being scolded by our parents for taking too long in the shower and using up all the hot water. While our parents were ultimately trying to conserve hot water, save energy and reduce the power bill, there is another reason why parents as well as entire industries are looking to reduce energy consumption: the environment. The development of environmentally friendly solutions with outstanding performance and user-oriented functionality to keep up with the times is driving many fields around the world and is also a major motivator in the HVAC industry. As LG also continues to innovate effective green solutions, they have introduced the ergonomically designed LG Therma V Monobloc, offering dependable heating, cooling and hot water supply all in a single compact, energy efficient and environmentally friendly outdoor unit. Many industries such as the electric vehicle and green building sectors are founded entirely on eliminating fossil fuel emissions, while other industries including energy, manufacturing and HVAC are making transitions to decrease their carbon footprint. These industries are not only providing environmentally friendly products and systems to the market but proving that these green solutions can also offer superior performance when compared with their counterparts. A sustainable solution with exceptional performance is what’s driving these industries. With this global initiative underway, LG is leading the HVAC space with lean and powerful solutions such as the Therma V Monobloc. 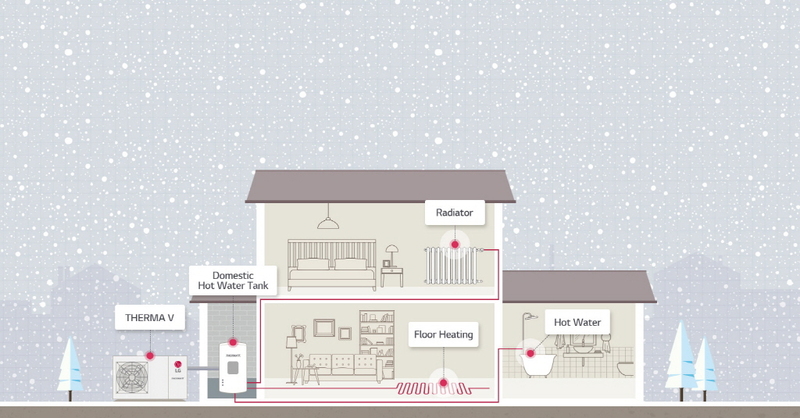 Thanks to LG air-to-water heat pump technology, the LG Therma V lineup is able to utilize outdoor air for 75% of its energy source to greatly reduce harmful emissions over gas boilers. 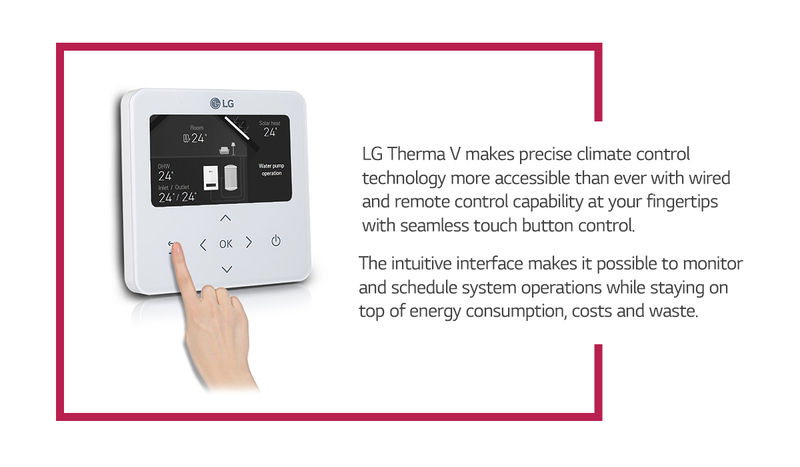 Therma V is a multifaceted heating and hot water solution that implements LG’s own inverter technology. 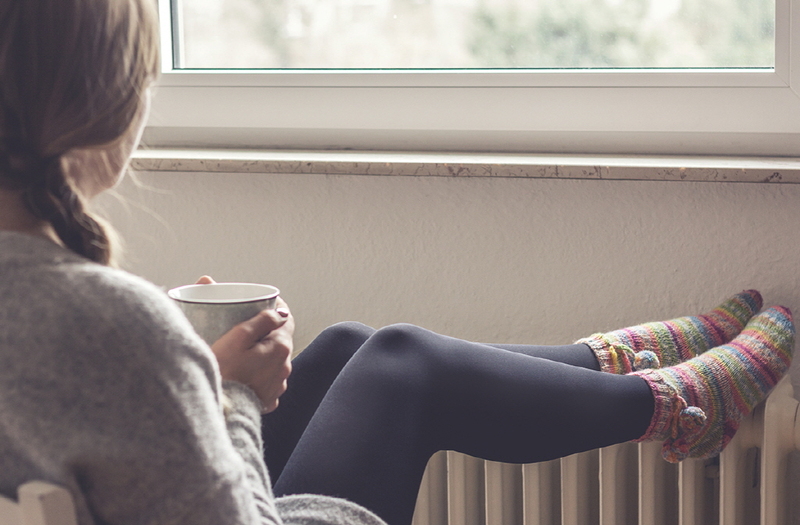 The reliability and performance delivered by Therma V can heat or cool the home while continuously delivering hot water all while offering 4 times the efficiency of a traditional boiler. The Therma V Monobloc stands out as an all-in-one heating, cooling and hot water system with plate heat exchanger, water pump and expansion tank in a single compact unit. Monobloc is ideal for new houses as well as for renovations because it supplies heating and cooling directly, there is no need for refrigerant pipe installation inside the home. Along with providing superior performance, installation and maintenance is made much easier with the compact configuration and connectivity. 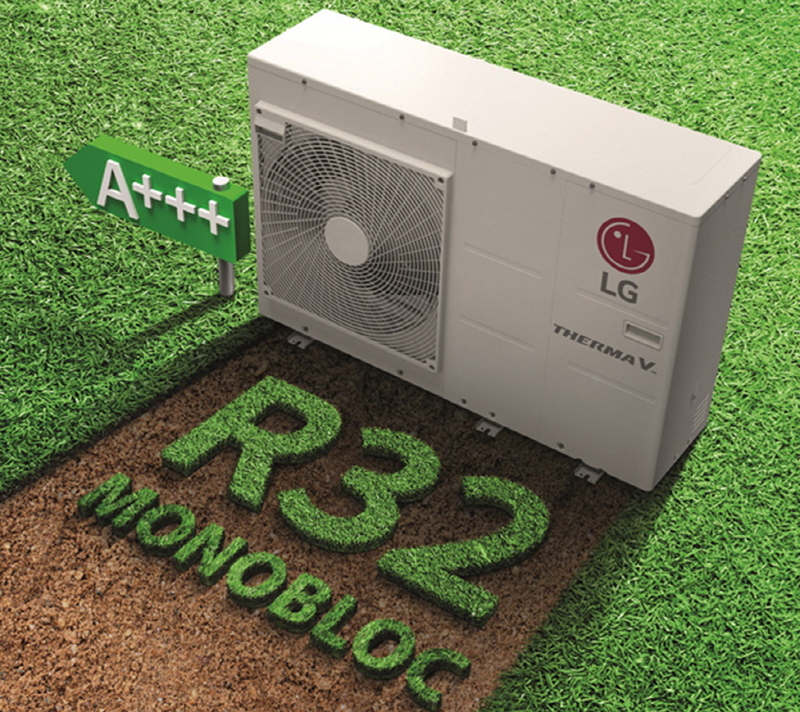 The Therma V Monobloc solution also further reduces its carbon footprint with the use of the eco-friendly R32 refrigerant, which has zero ozone depletion potential. Beyond sustainability, the Therma V Monobloc is also able to consistently provide a leaving water temperature of up to 65°C while operating in outdoor conditions with temperatures as low as -25°C. The system brings users a new level in convenience as well with intuitive precision control that provides exact heating and cooling while LG ThinQ compatibility allows for intuitive remote control functionality all through a mobile device. As industries continue to develop high-performing environmentally friendly solutions, LG is paving the way with convenient and efficient products like LG Therma V. Lowering energy costs and protecting the environment are important to everyone, and you can do both at the same time with LG Therma V Monobloc. This compact heat and hot water provider is powerful enough to keep you warm all winter, regardless of how long you shower. Whether it’s for your new home or a long standing renovation, the small footprint of the Therma V Monobloc will fit right into your place!